Proud to say I have a story in this anthology (‘One Way Ticket’) – in fact, one of the more complex stories I’ve written and one that I hope operates on a few different levels. 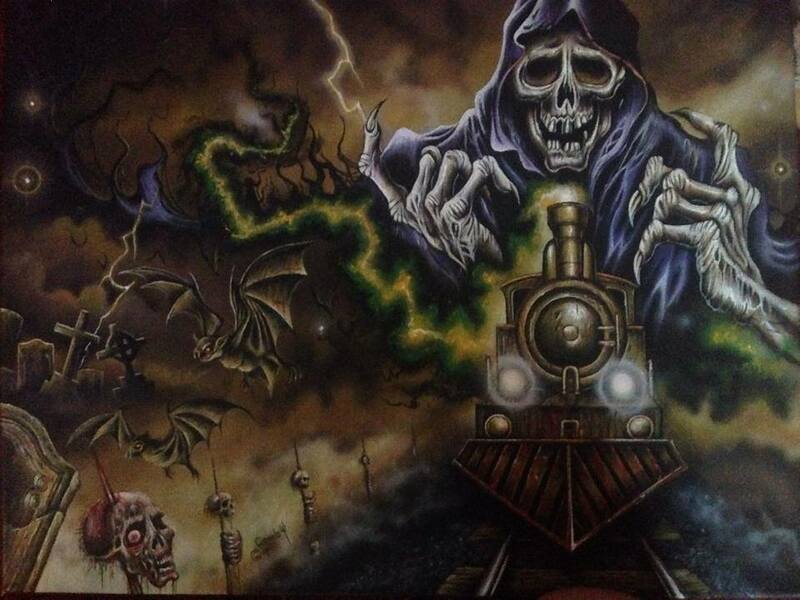 The Terror Train Anthology, published by the good folk at James Ward Kirk Fiction, includes both stories and poetry about murder, madness, mayhem, monsters, and the macabre on the rails! The stories take us on a train ride that begins in New York and ends in California, with a little time in Europe, and includes over forty stops in between. Included in this magnificent collection is one by the legendary William F. Nolan titled “Lonely Train A Comin’.” The old west, a character that travels back in time, a tale from the future – they are all there. We have stories full of evil, revenge, love, lust, and mystery. We even have a little noir and, of course, a whole lot of Horror! Trust me, it’s a ride you won’t soon forget. The anthology has been getting lots of positive reviews, so be sure to check it out via the links at the end of this article. Terror Train contains stories by new and established authors, with a special guest story by William F. Nolan. All aboard!